Fifteen years later, and this game is still as enjoyable as the first time. 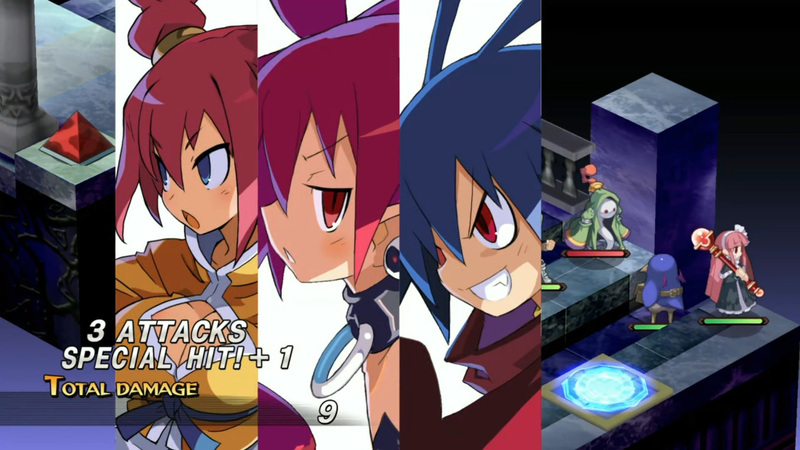 If you’ve played it before, this is the Afternoon of Darkness port with upgraded graphics; which adds several additional demon types, multiple extra characters to recruit, and Etna mode which consists of a story from her perspective and is about a third the length of the original game. Seeing as the base game is a solid 40+ hours without doing any of the side stuff it’s a fairly considerable game even if you intend to just go through the story. Graphically, the game keeps all its original charm while having a modern polish to it, though even with that polish the simple animations and attacks look dated at this point. Some fairly simple quality improvements such as the ability to fast forward through dialogue are a nice touch, but this overall is not a changed game and more of a nostalgia trip. For those who haven’t played this game, it is one of those genre defining titles. It took turn based strategy games and added three major aspects. The first is the addition of puzzles. The geo system turns many levels into partial puzzle games, and while you can often ignore them or approach solving them in different ways, ultimately you are rewarded for making use of the system. Everything from stat boosts to more xp and items earned to dealing major damage or negating enemy buffs can be your results from becoming effective, and it’s the key point to what makes this game different from the standard one. 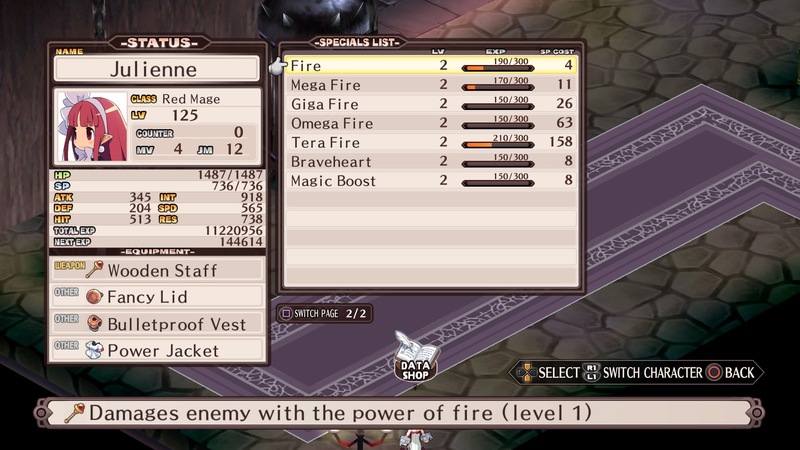 The second thing that made Disgaea different is eschewing the often serious and highly political themed TBS game formulas up until that point, with games like Ogre Battle, Tactics Ogre, Final Fantasy Tactics and Vandal Hearts all fitting this theme. Instead, it is comedic, often silly and focuses on a very light hearted and child friendly version of playing the villain. And third, an expansive endgame that you can start on an hour into the game, complete with intentional exploits and imbalances with level design and characters. The item world and bonus dungeons can be accessed fairly early though pose challenges that can go well beyond the main story’s limits. The main feature being the item world, with randomized levels that can sometimes be very fair or quite the challenge, and can be a great place to both get rare items and to greatly buff rare items you already own. 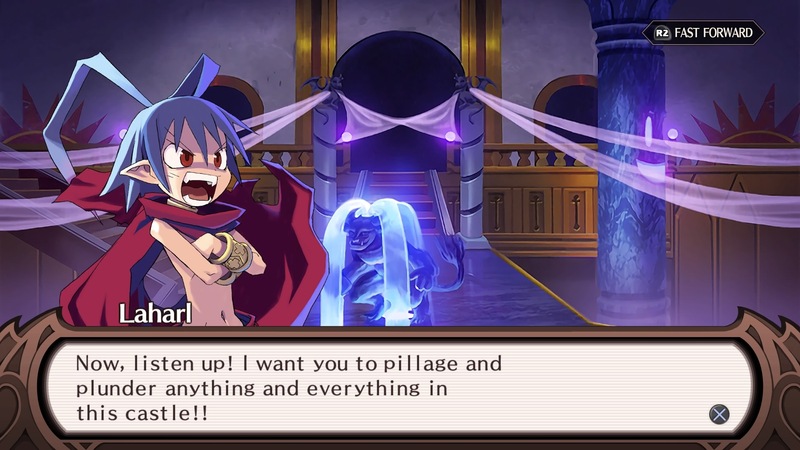 Disgaea Complete is a lengthy game with a large endgame on top, it’s great for those who enjoy the long grind and min/maxing, while also being fairly simple and easy for new players to pick up who just want to go through the humourous story and be done with it. It’s one of the best early TBS games and remains a classic, and is close to the top of the list even a decade and a half later.